For many Americans, the first Monday in September marks the end of summer, the start of school, and a glorious day off work. Labor Day weekend is a much-anticipated day of rest and relaxation, often filled with weekend road trips, neighborhood barbecues and store sales galore. Yet beyond the long history and time-honored traditions of Labor Day, the day actually has a deeper significance which, when understood, can add a new dimension to not just our celebrations, but also to our daily working lives. 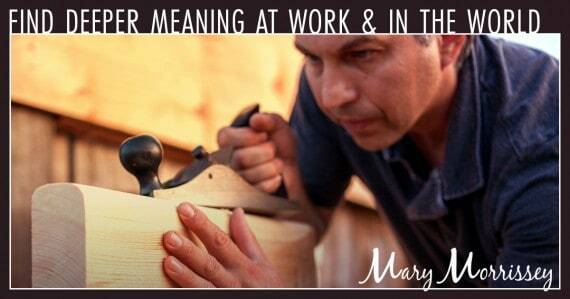 Are you sawing wood or building a cathedral? One of my favorite parables is one about an elderly man who came upon three men working on a construction site. The elderly man asked the first working man what he was doing, and the man said he was sawing wood. He then asked the second working man the same question, and he said he was making cement. When he asked the third working man what he was doing, he said he was building a cathedral. While you may never see the full impact of the work you do, you CAN choose – every day – to bring your whole heart to the work that you ARE doing, no matter what you do for a living. As you pour your heart into your daily tasks, know that the impact of your work extends far beyond your own understanding. Having a sense that your work is part of a genuine contribution to others and to the world has very little to do with what your actual job or role is, and has almost everything to do with the way you perceive your everyday tasks. When you choose to operate as if you are building a cathedral – and making a bigger impact – you’re more likely to use all of your skills and talents (even the ones you don’t know you have) to complete your tasks. When you tap into all of your inner resources, you may find the hidden gems of life that come from using your natural talents… those gifts that you have that you were meant to use to make the world better in some way. Soon, you’ll start to notice how everything you do on a daily basis has meaning and adds value to your life. You’ll stop only looking forward to the future, and you’ll savor everything there is to experience and learn in the present moment. 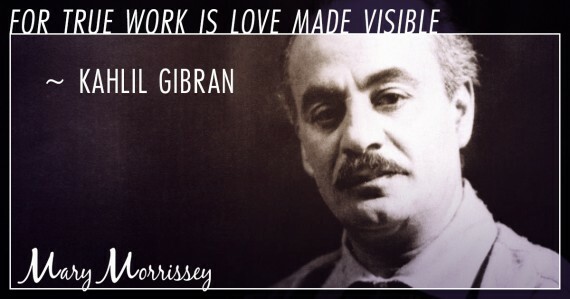 And as you take time this Labor Day to relax with family and friends and soak in the last of summer, take a moment to recognize how your own work — however insignificant it may feel at times — truly contributes to the prosperity and well-being of this world, this country, your loved ones and yourself. Not only will having this perspective make a bigger impact in your day-to-day life, this mindset will also help you create a world in which you love living. What are some little ways in which you can give and make a bigger impact on the world? Exploring this question will help to clarify some simple activities that you can do to contribute to a better, brighter world. So go ahead and leave a comment below – I’d love to hear from you! Do you dream of a more fulfilling vocation, the ability to give back to causes that you feel passionate about, or greater time and money freedom… but you’re not sure how to go from where you are now to where you’d love to be? 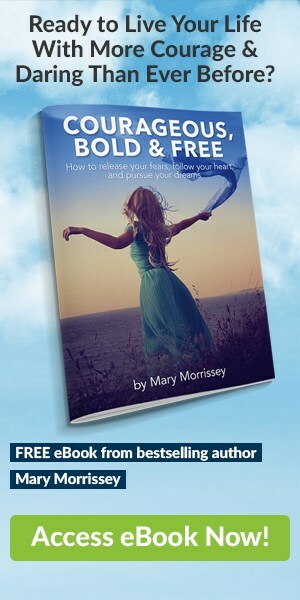 If so, my brand new ebook, “Courageous, Bold & Free,” is a must-have resource for you! I was really encourage by the article. I will start putting my very best in everything I do. Thanks for encouraging me. then what?? what about eternal life promised in the Bible? Is anyone addressing the goals of eternal life? My goal it to be prepared to have God like character be able to pray well teach others the truth and to make so $ too would be nice. any suggestions? Thank you for the well-thought-of, concise and holy message ! I am so previledged to receive it on this special day. May you live a long, happy life ! My passion is to go back to public issues forum discussions in towns that are small to medium sized. People need what I call “Compassionate Governance”, in other words, our government makes sure our communities have what will co-create healthy, intelligent, and creative problem solvers for the future. If we do not invest in the leaders of tomorrow, we will find we have invested in an oligarchy instead of a democracy. Mary, I have enjoyed you, your stories, and your continued interest in us. My passion is to go back to public issues forum discussions in towns that are small to medium sized. People need what I call “Compassionate Governance”, in other words, our government makes sure our communities have what will co-create healthy, intelligent, and creative problem solvers for the future. I was once taught a life lesson by one who reached out a hands to me as Michelangelo bridged the gap with the eternal. Rescuing a male kangaroo, who was naturally defensive due to the role of other humans in his life, he halted, thought, decided what to do and held my hand in his and kissed it for helping him. I was set upon the path of my instinctive recognition that we are not the only intelligent, emotive beings on this great planet. Those considered on the fringe, who neither buy nor sell nor accumulate, have their own societies and are part of the totality of life in ways that are not always comprehended nor respected. We each live according to the spirit we were granted and to live with recognition of it is our life’s task. My mother raised us with this belief, without the how to navigate life’s roadblocks and oppirtunities so it remained a guiding light only in the mind, not in the world. Thank you for bringing it round again expanded. I have always felt as the scripture says do everything as unto God and not unto man. I found this to be a much easier path to follow because of the fact that some of the people that I work for make you want to not do your best but if you do it as unto God not only do you please Him but you end up getting the praise of the very people that you did not want to work for. Doing right is its own reward when it’s done as unto God and not to man. We are not to be men Pleasers but the glory goes to God. What a great reminder! 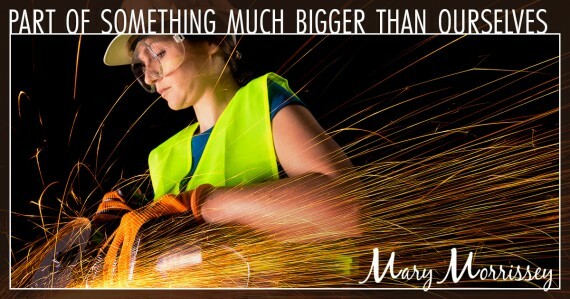 Thank you Mary! I an into my 34th year of teaching high school and just as passionate as ever. From dancing with a disco ball & Saturday Night Fever to learning about how a good web really works, my students are energized with life. Hope to keep the fire burning with the help of Christ. Mary Morrissey you are so awesome!!! You make so much sense in everything you say. You are a rare treasure. I set a goal to meet you in person and have lunch with you some day. God Bless you all the days of your life. I love this, it moves me personally in the Spirit. Some days I fell I’m not doing God’s work with this career I’ve been blessed with. But the question is, how does the character of God show through my work? Spiritual principles can come through any task…when God is our center point of reference. I suggest you read the text article on the page – it is inspiring, and beautiful. 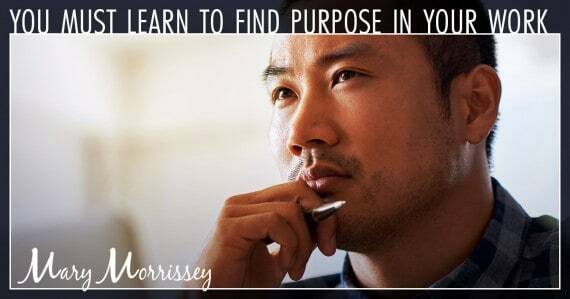 It is all about finding purpose at work. Finding purpose helps make the path just that little bit easier, the slope just that little bit gentler. I hope this can help you. Mary is a creature of light. So are you. Trust yourself, believe in yourself, reach inside, and find it.